We were so excited this summer when it was announced that BIC management track student Amber Lynn Jackson earned a spot in the 2014 ADCOLOR Futures Program—a highly selective program in which young professionals receive training and mentorship via a sponsored trip to the annual ADCOLOR Awards and Industry Conference. To qualify, student applicants must embody the program's creed of Rising Up while Reaching Back. We asked Amber to share her experience with us. Here's what she had to say. 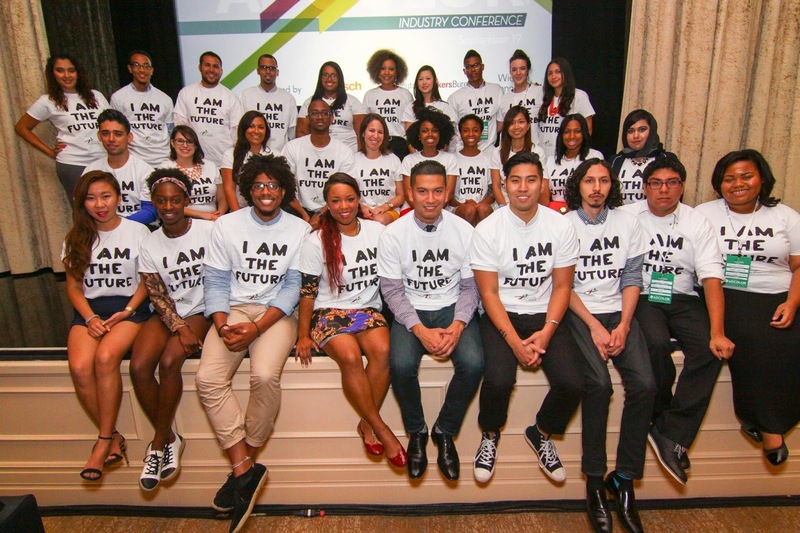 Life-changing doesn’t even begin to describe my experience as a 2014 AdColor Future. Yes, a fully paid trip to sunny Los Angeles, California was great, but the real highlight of the AdColor Futures Program was the week-long conference experience. I had access and exposure to some of the most successful senior-level executives in the industry. Often inaccessible, I had the opportunity to network and set into motion the beginnings of new partnerships, mentorships, and more. The opportunity to learn and bond with forty of the top emerging multicultural professionals in the communications industry was enlightening. Their stories and advice gave me inspiration I can now apply to my current job and my growing career. Education was also integral to the AdColor Futures experience. Through the efficacy training sessions I learned how to forward my career through network building and navigate common issues faced by multicultural talent in the industry. Attending the conference exposed me to some of the best creative projects, invaluable industry insights, and some of the most brilliant minds working in communications today. 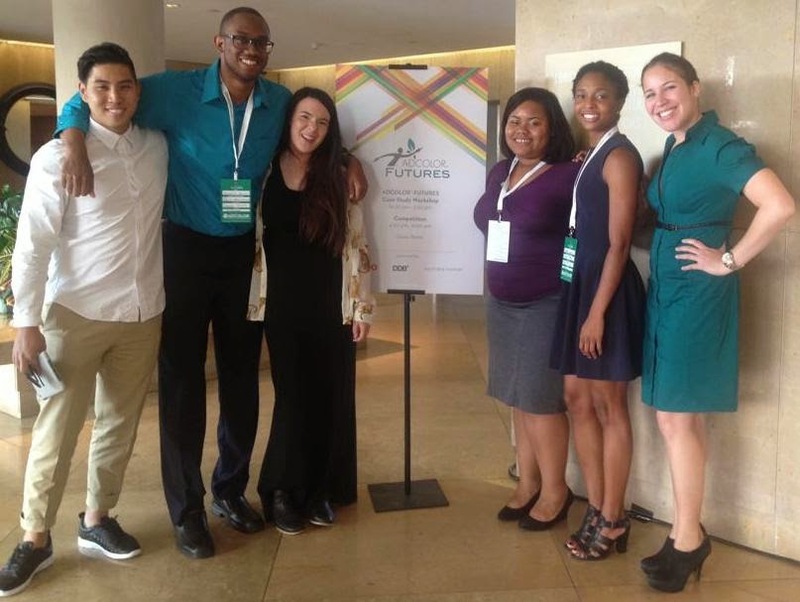 The winning team of the 2014 ADCOLOR® FUTURES case study challenge. Among the most exciting moments for me was winning the first-ever AdColor Futures case study competition and earning the opportunity to speak at the AdColor Futures Speak Out panel. I had the chance to share the multicultural-millennial view of advertising and the future of the industry. Ending the week with the award show and after party celebration was also an unforgettable experience. The closing events were formal, glamorous, and unlike any event I’ve ever attended during my career in the advertising industry. Following the conference, I came back to New York City and back to my position at Grey Advertising feeling both motivated and refreshed. I took the chance to share my experience with my agency and spoke specifically to how diversity efforts can be increased internally and externally. Since then I’ve been invited to join the agency’s new diversity council. I’m excited to continue the AdColor Futures motto of Rising Up while Reaching Back. Through my own personal efforts, I plan to assist in the goal of making communications a more inclusive industry. The ADCOLOR® FUTURES class of 2014. Visit Adcolor.org for information on how you, too, can get involved in ADCOLOR's mission to celebrate and champion diversity in the advertising, marketing, media, PR and entertainment industries. Visit tumblr to find more ADCOLOR Futures' photos, testimonials, interviews, and conference takeaways.